Home Breaking News	Does the Weather Make a Headache Worse? It seems that pesky headache has been getting worse — and weather may play a huge part in that. So, what is the deal? Does weather actually play a part in making your headache worse? Several pain management experts were asked this question and the verdict was yes… weather does play a part in our headaches. According the CNN Health, if you suffer from headaches, then warm weather, drastic temperature changes, low barometric pressure, and even lightning bolts are not your friends. Scientists are still trying to figure out the precise mechanism behind weather-induced migraines, but the link is genuine. "It may be that people who get migraines are very susceptible to any fluctuation, whether it's weather change, foods, sleep or stress," says Dr. Carolyn Bernstein, clinical director of the Harvard Medical Faculty Physicians' Comprehensive Headache Center at Harvard's Beth Israel Deaconess Medical Center in Boston and author of "The Migraine Brain." "Many patients do report worsening migraines with acute storms. Here in Boston, I have seen a spike in migraines for my patient population each August during hurricane season." It is noted that other outside factors do play a part in making headaches worse, but everyone came to the same conclusion that the weather we experience from time to time does have a major role in how bad or headaches hurt. 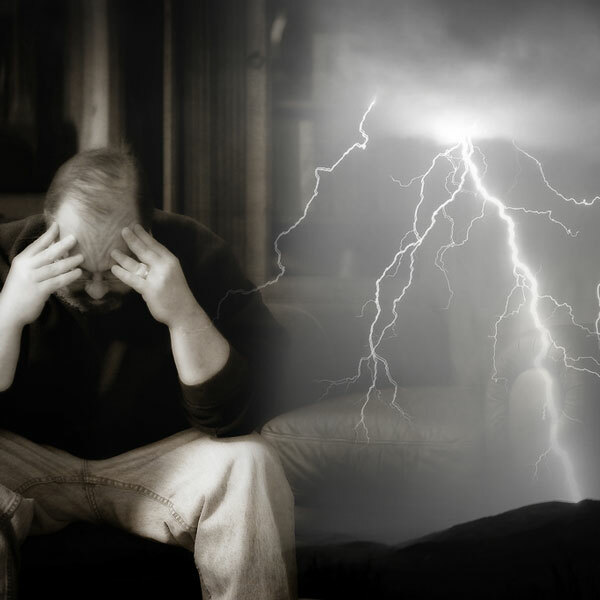 In a new study in the journal Cephalagia, researchers saw a 28% increased risk of migraine on days when lightning struck within 25 miles of a sufferer's home. Next time you are suffering from a major headache, take the time to think about what part the weather may be playing in the situation.